paulb added a comment to T10636: Announcement text for the Applications 19.04 release. @cfeck What time are you thinking of releasing? I also added the KOrganizer section that was missing in the text, probably because developers were late to add them when we collected features. Please review above link if text needs to be expanded or improved. I didn't yet investigate which images to add. While the change notes include lots of images, most only show a small change, instead of a complete application. If you created better images, please add links here. I would prefer screenshots of windows with a small shadow and without the wallpaper background, e.g. https://kde.org/images/screenshots/kmplot.png but I am open to other suggestions as long as we remain consistent. 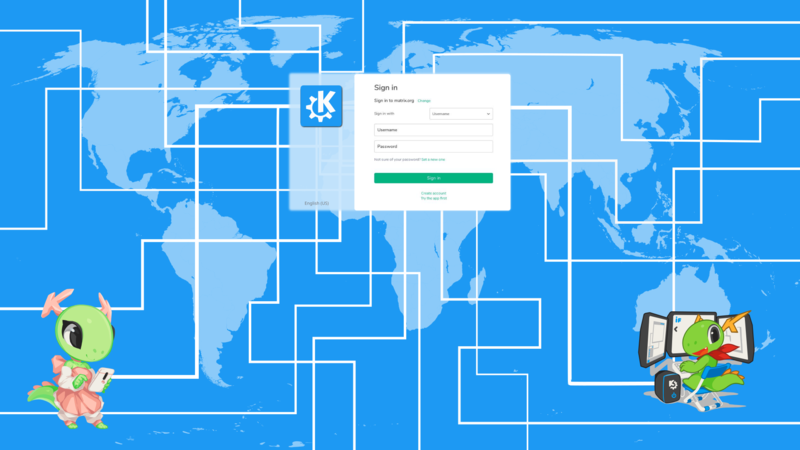 paulb updated the task description for T10147: KDE e.V. annual report 2018. Sat, Apr 13, 7:34 AM · KDE Promo, KDE e.V. Sat, Apr 13, 7:33 AM · KDE Promo, KDE e.V. Fri, Apr 12, 12:26 PM · KDE Promo, KDE e.V. paulb moved T10628: Akademy 2019 sponsorship brochure from Incoming - All new tasks and ideas go here to Doing - Tasks that are actively worked on on the KDE Promo board. Fri, Apr 12, 11:50 AM · KDE Promo, Akademy (Akademy 2019), KDE e.V. paulb updated the task description for T10712: Applications 19.04 Video. @cfeck is everything now okay? Done. Thanks for your input, @davidre . Save settings now shows you what the filename of a screenshot will look like. You can also easily tweak the filename template to your preferences by simply clicking on placeholders. Great. I did not relish the prospect of editing the bare PHP, to be honest. Thanks @paulb, this looks fantastic. I've done a bit of light editing; hope you don't mind. Thumbs up from me now. @cfeck : Please take a look at the revised and edited text. @cfeck I added the stuff and re-edited the text to make it all more consistent, coherent and friendly to read. I passed the text on to @skadinna so she can re-touch and proofread it. Once she is done, I will copy and paste and format it in notes so everybody can access it, although you may want to read it first to check that everything is factually correct... I'm pretty sure it is, but just in case. We also included the Kdenlive notes. With the changes, the text needs to be revised again. As soon as it is done, I will upload it somewhere. There's a late-breaking bugfix included in Gwenview in 19.04: full High DPI support! This should definitely get a mention as it's been long in coming and highly anticipated. paulb accepted D20311: Update International Sites list. I have reviewed and checked this patch. Everything seems to be okay, so I am approving it. paulb updated subscribers of T10636: Announcement text for the Applications 19.04 release. paulb added a comment to T10712: Applications 19.04 Video. My recommendations would be Dolphin, Okular, Konsole, and Spectacle, plus bits and pieces for the others. Those four apps are some of what I consider the "core" KDE apps and they've all gotten a large amount of new features and bugfixes in this release! I fill in the amount of bug fixes when committing the text for translation. Until then, fixes are still ongoing. paulb created T10712: Applications 19.04 Video. I am writing the announcement and there is a section were we mention the amount of bugs squashed, but I can't see a number in the notes. Can you tell me what that number is? Paul, my question for approval was mostly for the announcement text writing schedule. For the previous release, I had to commit the developer change notes verbatim, because an announcement text was not available. Regarding the release day (Apr 18), I am running a workshop the weeks before and after Easter, and I won't be able to flip the "release switch" before about CEST 16:00 (UTC 14:00). KDE Apps are now available in Appimages, Flatpaks and Snaps, it would be good if the announcement pointed to these. I can talk to the relevant people and come up with useful text. It looks good to me: No blockers and no coinciding events or announcements in the way. We'll ,make sure the 18th is kept free so there is nothing overshadowing this release. paulb added a comment to T10580: Organise Promo Sprint 2019. My vote for Málaga, but I'll should arrive on 22th, 21th is last day of class and need to get my qualifications. paulb added a comment to T10615: Help create a good website for KDE Connect. paulb created T10615: Help create a good website for KDE Connect. paulb added a comment to T10147: KDE e.V. annual report 2018. Mar 13 2019, 4:31 PM · KDE Promo, KDE e.V. Mar 13 2019, 1:41 PM · KDE Promo, KDE e.V. paulb updated the task description for T10539: Attend External Events 2019: OpenExpo Europe 2019.
paulb added a comment to T10597: Branding for Minishell. "Plasma Nano" is cute - I can imagine a cute Konqi going with this. "Plasma Ion" is cool and goes with the trend started by Neon. paulb updated the task description for T10580: Organise Promo Sprint 2019. I was thinking: we go to OpenExpo (T10539), which is in Madrid, do our Promo thing there, and then grab the high speed train down to Málaga for the sprint. Both cities are well-connected with international airports. The problem with Madrid is that I don't know where we could do the sprint and it is much more expensive than Málaga. paulb created T10580: Organise Promo Sprint 2019.
paulb lowered the priority of T7770: Grow the number of developers and the community support for Plasma Mobile from High to Low. paulb moved T10034: Attract existing FLOSS software projects to KDE and incorporate their members into our community from Incoming - All new tasks and ideas go here to Doing - Tasks that are actively worked on on the KDE Promo board. paulb added a comment to T10034: Attract existing FLOSS software projects to KDE and incorporate their members into our community. paulb triaged T10577: Attract existing FLOSS software projects to KDE and incorporate their members into our community: List of Advantages as Normal priority. paulb added a comment to T10561: Mozilla collaboration. paulb added a comment to T10545: How many subscribers do mailing lists have. Why is it sensitive? I am not asking for names or surnames. Just total numbers. I don't want a database of anything, just "1000", "2000", or whatever. paulb created T10545: How many subscribers do mailing lists have. paulb updated the task description for T8258: Promo subgroups. paulb triaged T10539: Attend External Events 2019: OpenExpo Europe 2019 as Normal priority. paulb updated the task description for T8043: Attend External Events. paulb added a comment to F6637801: Screenshot_20190226_124129.png. paulb added a comment to T10529: Crashes in Share's online LibreOffice editor. Feb 26 2019, 11:02 AM · KDE Promo, KDE e.V. Feb 26 2019, 10:59 AM · KDE Promo, KDE e.V. Do you remember what you changed? Because I made some minor changes too. Would you like to send yours along or shall I send you mine? Feb 26 2019, 10:54 AM · KDE Promo, KDE e.V. paulb created T10529: Crashes in Share's online LibreOffice editor. It looks like the online wordprocessor at Share is not working very well at the moment. I will tell Ben, but meanwhile I'll have to work on the document offline. Tell me if you want to change anything in a hurry. Feb 26 2019, 8:46 AM · KDE Promo, KDE e.V. I've copied @lydia's outline into the Share at Promo Team Resources/Reports/Annual/2018/ so we can work on it collaboratively there. Feb 26 2019, 8:41 AM · KDE Promo, KDE e.V. paulb closed T10477: Matrix launch as Resolved. paulb updated the task description for T10477: Matrix launch. paulb added a comment to T10477: Matrix launch. I am also editing our old Matrix page on the Wiki to bring it up to date (it referred exclusively to Matrix as a way of bridging to IRC rooms). Please get in there and fill in the blanks. Welcome text sounds good to me. paulb updated subscribers of T10477: Matrix launch. 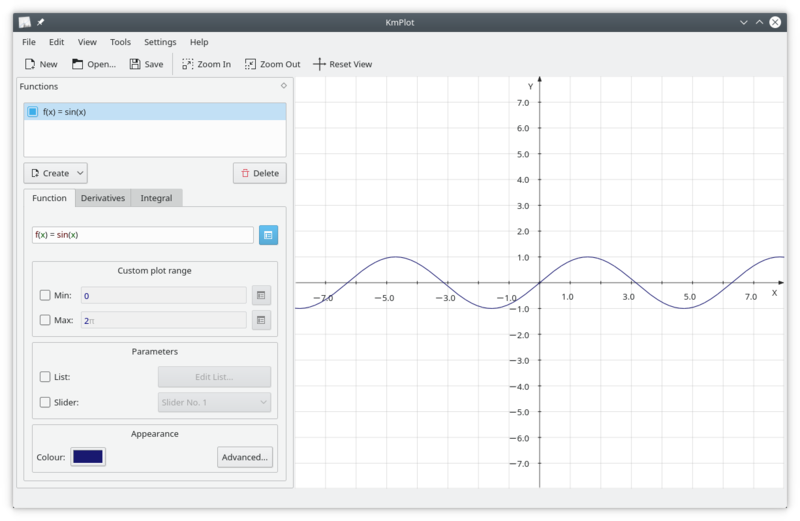 Re the background image: The default is very nice, but I'd probably make sense to have something more KDE-y. Whatever the default Plasma wallpaper is at the time? The problem is that the current wallpaper is rather dark and uninviting. paulb renamed T10477: Matrix launch from Dummy project to Matrix launch. paulb created T10477: Matrix launch. paulb added a comment to T9477: Organizing KDE's presence at FOSDEM 2019. I really did like the booth setup with the two roll-ups -- that provided a bit of a breathing space. Because the banners added some space, there was also less of a KDE-mates-meeting-up-blocking-the-stand than we have had previously. What didn't go so well and you would differently? I'm sorry, but Telegram is useless as a communication channel.